Who remembers what it was like to be 14 or 15 and so eager to finally be 16 so you could drive? Or being a senior in high school with major Senior-itis ready to be in “the real world”? Maybe you find yourself single desperate to finally be married, or married and ready to be a parent. Perhaps you are new parents and would trade an entire year’s salary just to have a week of solid sleep. Then again, you could be past all these seasons and find yourself a mere year or two away from retirement, so close you can taste it like a (virgin) Pina Colada on the beach, or a sweet tea on the golf course if that is more your jam. No matter what season you are in, I bet there is a part of you—even if it is small—that longs for what is next. But what if I told you there were treasures in this season that aren’t in the next one. That you can only find them where you are! To you high school student: Living in your parent’s house is probably the bane of your existence somedays, but it’s FREE. All of it. In the not to far off future you will have to pay for the roof over your head, the food in your kitchen, and the toilet paper in your bathroom. One day having a meal back at the parents house will be a welcomed treasure. I know it is hard to believe right now. To you young adult: You may feel like you are floating between student life and adult life, but you will only have this stage in life for a blink of an eye. You might want to be married more than you used to anticipate Christmas morning as a child, but one day you will have to run everything by your spouse (**if you want a healthy marriage—all the married folk said amen). Where you spend your money, if you can go hang out with someone, if you have enough money to eat out. These years are yours! To do whatever (talking holy things now) you want! So do them! Explore. Take an adventure. One day you will miss staying up all hours of the night watching whatever it is that is your vice on Netflix and eating half a tub of peanut butter for breakfast. I know it is hard to believe right now. To you aspiring parent: The ache in your heart to have a child might be deeper than the undiscovered ocean, and it is legit. I believe God put the desire in us to reproduce ourselves; how else would the world have continued? Hopefully this season isn’t tortuously longer than you can handle, but in the meantime…. Enjoy date nights that don’t require an extra $60 to pay the babysitter. Every night is date night, simply because you are together.. Give all of your love to each other, and build a foundation strong enough to take all the blows that parenthood throws (because they will come!) Your spouse is the only one that will live with you until you die. One day you will miss being able to do whatever you want, whenever you want. I know it is hard to believe right now. To you sleepless parents: Sleep? What is sleep? I hear you! Been there, done that: four times. You find yourself bargaining, pleading, willing to do anything for sleep, and some how you are still able to function on the little you get! **HIGH FIVE** The nights seem endless and the days seem long, but I promise they disappear like a vapor. You’ll look back and wish you had a baby to smell and cuddle, even if you had to trade sleep for it. When forcing your seven year old son to sit in your lap for an awkward hug as he fights for freedom, will remind you just how far away the sleepless nights seem. One day you will wish you could trade a few hours of sleep for a baby in your arms: One. More. Time. I know it is hard to believe right now. To you parent of (hormonal) teens: You will survive. I only know because the world hasn’t ceased to exist. Those who have gone before us, brave souls, have done it, and we will be able to do it too. I guess this is where sleepless nights will make a reappearance as you stress and worry about the choices they are making that will shape their lives forever, or why they aren’t home yet. Remember how fast it has gone already? You only have a few more years of them (safe) in your home. Love them hard, and get them ready for the brutal world. One day you will miss having the sounds of chaos in your home day after day. I know it is hard to believe right now. To you worn-out adult: Life is no fun sometimes. Monotony is an evil prison. You put in all the work and wait for the reward that seems like it only gets farther away. You may find yourself thinking: What do I do now? Is this really all my life has come to after decades of decisions have passed by in a matter of minutes? Did I do it well? How many more years until I can retire, even if it is with less pay? One day you will be so starved for conversation you’ll talk off the checkout clerks ear and call your adult children just to tell them you are going to bed. I know it is hard to believe right now. To you ready for heaven: You are prepared for the ultimate reward. To meet your creator and reunite with those who preceded you. It is closer than it has ever been, but once you are there you can’t take anyone else with you. People are the only thing that we get to take with us. How many have you secured? There is still a little more to do here, on this side of eternity. Your assignment isn’t over. One day you will look back and hope you finished strong. I know it is hard to believe right now. Embrace each season, whichever you find yourself in. If you are knee deep in homework, diapers, bills, or doctor appointments; live it. It will be over before you know it and you will have a whole new field to work again in order to find the treasure. Help those that are in a season you have passed. Learn from those you are in a season ahead of you. Embrace it all. Life is full of treasure. What you are called to do is so much bigger than you. You need God’s help. That help is most often met by the people that are in your life and coming into your life. You can only do what you can do, but God has placed people in your life as partners to help you accomplish what you cannot do. Jesus had disciples. They were not just His disciples, they were His friends. They were also His partners. The disciples even took over and grew the ministry of Jesus after He left the planet. Jesus established a model and partners to advance His purposes, when He walked the Earth. It’s the greatest leadership strategy that the world has ever known. He didn’t just disciple followers, He discipled leaders! If we are followers of Jesus, He wants us to emulate this model. Leadership is often viewed as “be the best that you can be,” but what if we saw leadership as empowering others to be the best that they can be. 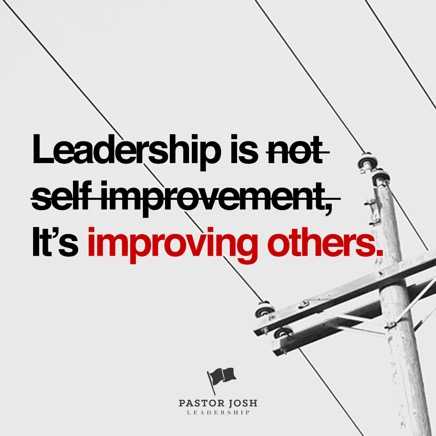 Self improvement is critical, but leadership is not self improvement, it’s improving others. Leadership is not education, it’s impartation, imparting and empowering others to fulfill a greater purpose. In the end, our greatness will not be measured by what we do with what is in our hands, but what we put in the hands of others. 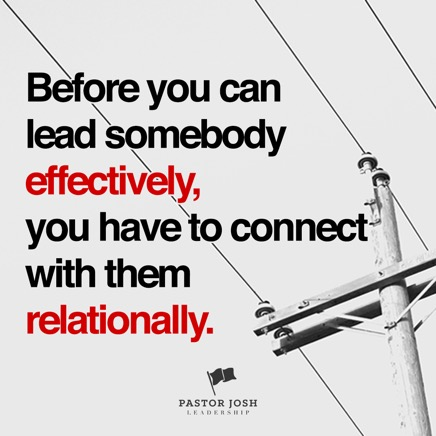 you will have to connect with them relationally." Showing somebody how to do something can be difficult and time consuming sometimes. It can be true that many times it’s “easier (and even better) if I do it myself.” But if I continue to do it myself, then somebody else doesn't get to do it. It’s actually selfish. Developing people takes time, but is aways more important than accomplishing tasks! Take the extra time to develop somebody to do what you are doing, and you might be surprised in the short amount of time that they are doing it better than you ever could! Developing people > Accomplishing task. Jesus spent way more time with His disciples than He did with the crowd. Much of what we read in the gospels are resourcing moments where Jesus was growing his disciples. Resourcing and encouraging those who are around you is your responsibility as a leader.  Whether it be an article, blog, video, a message, or something you generate yourself, it is the leader’s job to be the equipment manager of the people they are developing. I heard years ago that if somebody can do what I am doing 80% as good as I can, then I should give it to them. This is a struggle for me. I am a hands on leader. I am also very particular. (All of the people close to me said “Amen!”) This can be a problem because if I am not careful, I will micromanage what I hand off. It can cause those that I impart to to operate out of fear and become insecure. 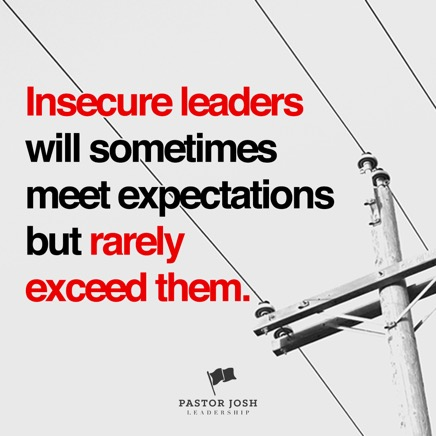 Insecure leaders will sometimes meet expectations but rarely exceed them. In order for people to get better, they have to be able to set expectations for themselves rather than living under the scrutiny of the person delegating to them.